Our club logo incorporates the Renaissance Center – a downtown Detroit landmark and critical location for the auto industry – with the DMC logo. 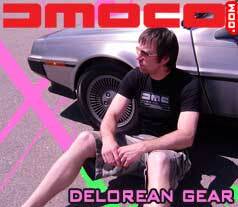 Special thanks go to the DeLorean Motor Company and James Espey for their generous permission to use the DMC logo. Once again over a dozen DeLorean owners/enthusiasts participated in the 2010 Woodward Dream Cruise Event! Visit the Gallery for pics and other information. Click on Events to learn how you can be a part of other events with DMC. Own it? Want it? Love it? 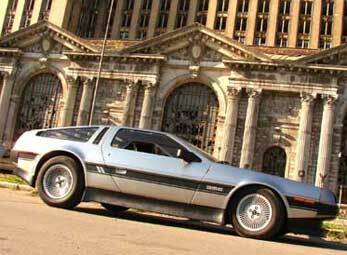 We invite you to join in the fun with DeLorean Motor City. Whether you own a DeLorean, hope to own one some day or just think the car is cool, now is the time to get in on the action. Please click on the Membership section to learn how. 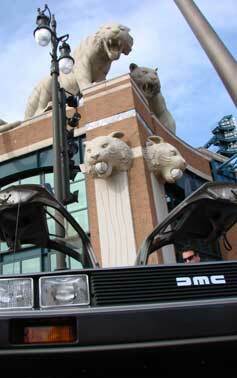 DeLorean Motor City is all about DeLorean fans getting together and sharing our enthusiasm with others. We've had several BIG events and more is being planned, please visit the Events section for more details. Copyright (c) 2008 DeLorean Motor City. All rights reserved.